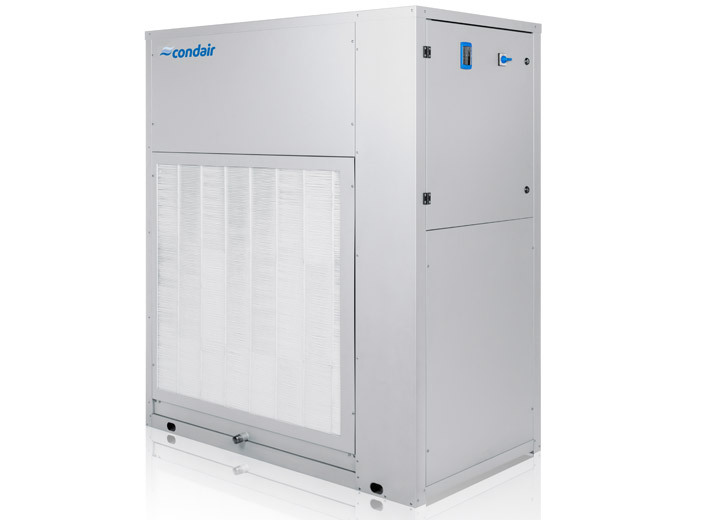 Capacities in the Condair DC range from 75 litres per day to 930 litres per day with airflows of up to 8,000m³/h. 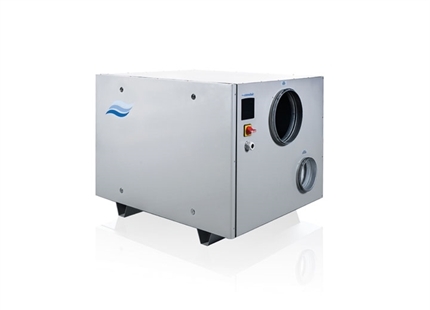 Can provide dry air directly to a room or be connected to a building's ducted ventilation system. 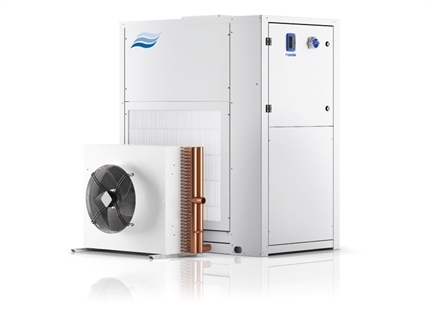 Temperature neutral versions available with an external condensor to deliver dry air at the same temperature as the intake air. The housing is a galvanised metal with powder-coated enamel as standard or stainless steel as an option. 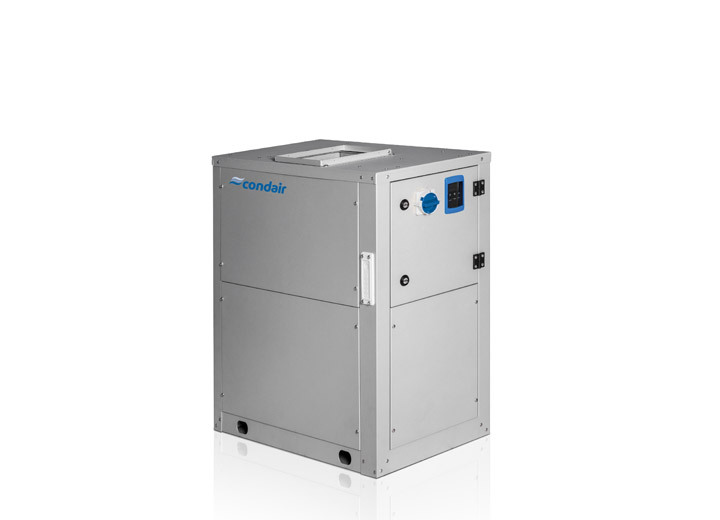 Condensing dehumidifiers are ideal for lowering humidity levels to around 50%RH and at temperatures above 15°C. 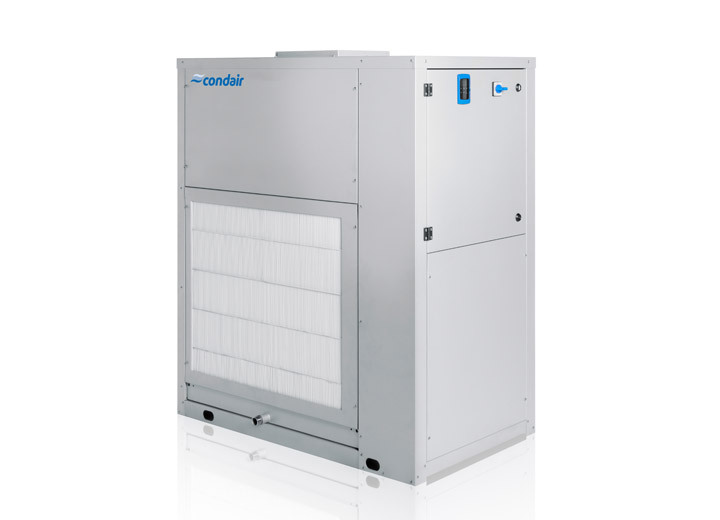 The Condair DC range offers capacities from 75-930 litres per day and air flows from 800 to 8,500m³/h, making the dehumidifiers ideal for drying complete buildings. 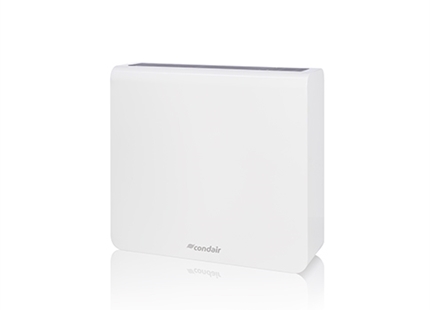 The systems can deliver dry air directly to a room's atmosphere or be connected to a building's ventilation system. All models come with a hot-gas defrost feature as standard and only use highly efficient R410A refrigerant gas. 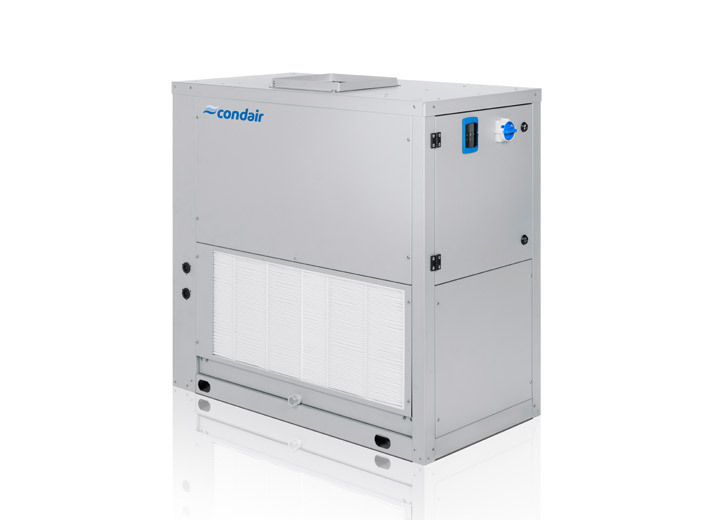 Condair DC dehumidifiers can be free-standing or positioned on mobile trolleys for use around a building. Dry air can be delivered directly to a room's atmosphere or ducted to a building's ventilation system. 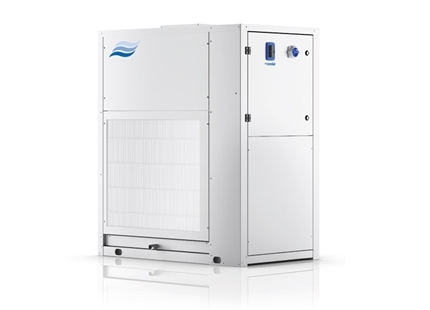 Get expert advice on your dehumidification project. Click here.